Dak NONG (VNS)— Farmers in the Tay Nguyen (Central Highlands) province of Dak Nong have expanded zoned areas for pepper cultivation by as much as 8,000 hectares as prices have soared this year. In one commune in Cu Jut District, for example, farmers have replaced rubber and coffee trees, as well as other cash crops, on at least 100 ha. 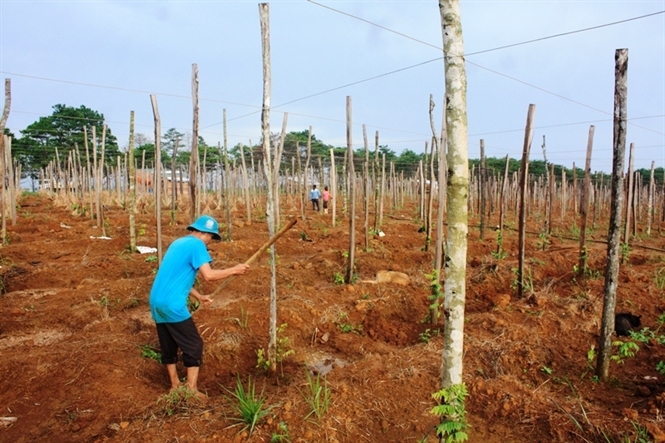 Dak Nong Province originally planned for only a total of 12,000 ha of sustainable pepper cultivation, but farmers have planted so many trees since the beginning of the year that the area has expanded to 20,000 ha. The price of pepper has climbed to more than VND200,000 (US$8.90) per kilo, according to farmers. Vu Duc Thanh, who has had a rubber-tree garden for 10 years in Cu Jut District's Dak D'rong Commune, said that pepper had helped him earn hundreds of millions of dong per hectare a year. 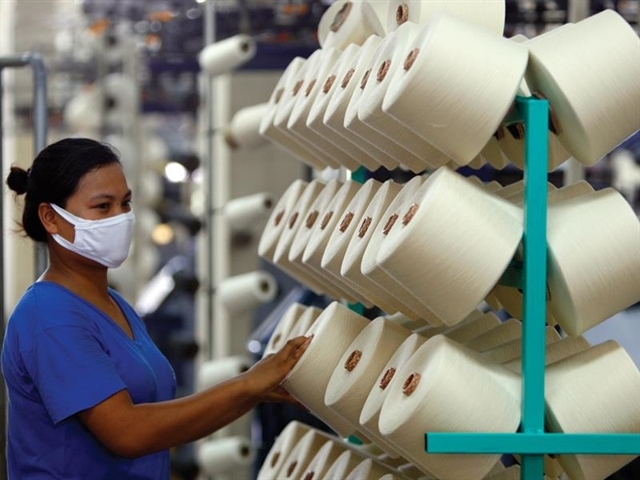 Coffee prices have fallen to VND40,000 ($1.7) per kilo and rubber to VND9,000 ($0.4) per kilo this year. Other farmers across the province, including those in remote and disadvantaged areas, have cut down thousands of hectares of other trees like rubber, cashew and coffee to plant pepper. They have also cut down many trees in forested areas to grow pepper. Local authorities, however, have warned farmers that the expansion was a violation of the province's agricultural restructuring plan. In an effort to stop the expansion, the province's Agriculture and Rural Development Department has told farmers to take better care of existing pepper trees and to not cut down other plants to grow pepper. Do Ngoc Nguyen, director of the department, told Tin Tuc (News) newspaper that pepper was suited to the province's climate and soil conditions. It also yields high profits, he said. The province has also asked farmers to stop cutting down trees in forests to use as pillars to grow pepper plants, and to plant other trees onto which the pepper plants can grow. The province also plans to replace pepper varieties that do not meet quality standards with varieties that have high productivity and are disease-resistant. It will also work with institutes and universities to create quality pepper-seedling establishments from now to 2020.